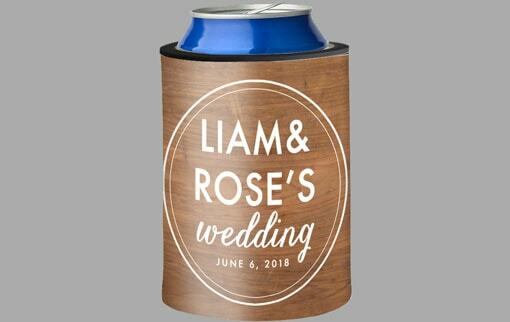 If you're looking for a unique or quirky wedding favour, then a wedding stubby holder might be just the thing for you. They are fully customisable to your colour scheme and using your own unique images, a wedding stubby holder can be the perfect memento for your special day. You can even add text, such as the date of the wedding and names of the bride and groom to memorialise your special day.